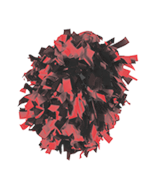 to 2 two color side by side poms. Poms are sold one at a time. 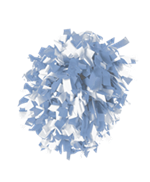 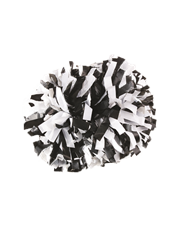 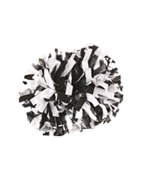 Each cheerleader needs 2 poms. 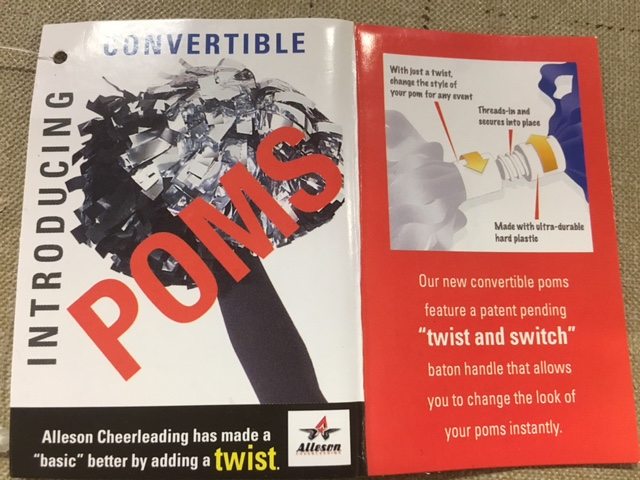 and convertible twist baton handles. 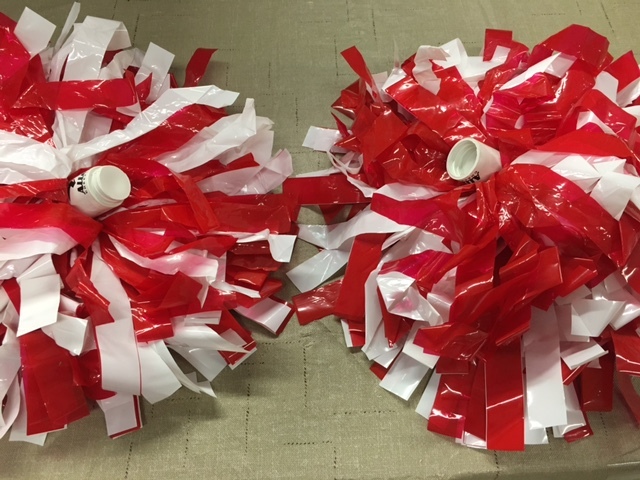 you order from the New York warehouse. 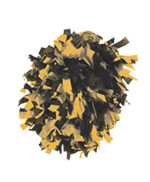 When ordering, order poms individually. 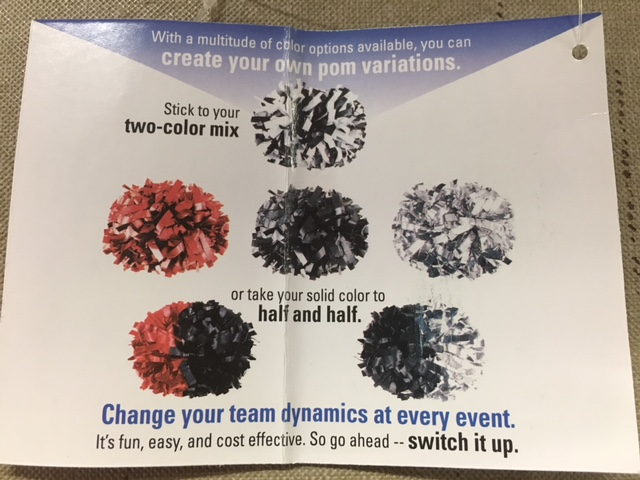 You can order multiple colors. 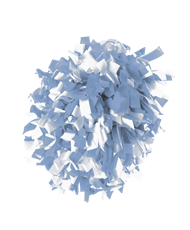 If you have 20 girls, you need at least 40 poms.